By first boiling ribs, then browning them briefly under the broiler, then cooking in the slow cooker, you get a fabulous grilled taste with very little work. This recipe for BBQ Crockpot Ribs is one of my favorites. The different types of ribs in the market will have very different texture. Baby back ribs are the leanest and most tender ribs. 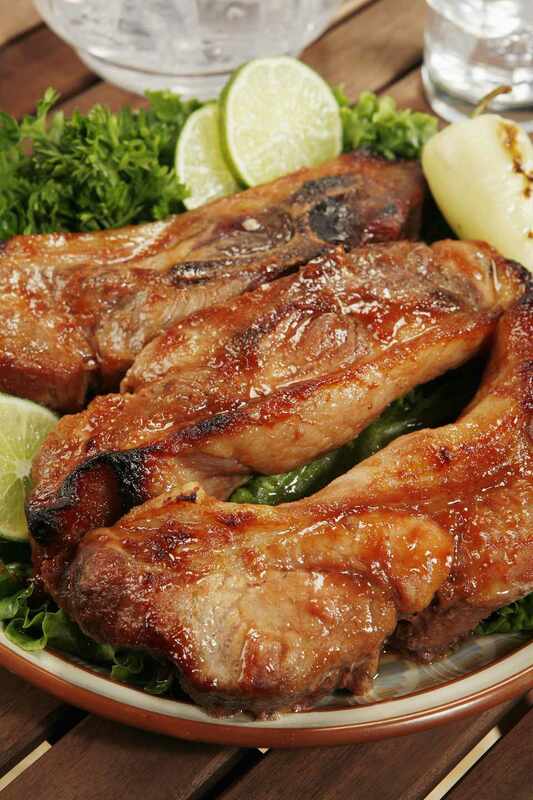 They are shorter than spareribs, which usually have more flavor than baby back ribs because that muscle is used more. Country ribs are really pork chops, which are cut from the front end of the pig's shoulder. And here's an important note: once you start this recipe, don't stop. You can't partially cook meat and refrigerate it, then finish cooking it at a later time. The heat may give bacteria in the meat impetus to grow, and those bacteria can then produce toxins in the warm meat that heat won't destroy. Once you boil and brown these ribs, don't stop. Serve this recipe with a bunch of coleslaw, some grilled or boiled corn on the cob, and lots and lots of napkins. Enjoy every bite. Cut the ribs into 2-rib portions (or have the butcher do it). Add the ribs, return to a boil, and then reduce the heat to low, and simmer the ribs for 10 minutes. Drain the ribs, discarding the cooking water, and let the ribs stand on a wire rack for 15 minutes. Place the onions and garlic in the bottom of a 4 to 5 quart slow cooker. Top the vegetables with the browned ribs. In a medium bowl, combine the barbecue sauce, beer or apple juice, chili sauce, brown sugar, and mustard and mix well. Pour this sauce over the ribs in the slow cooker. Cover the crockpot and cook on low for 4 hours, then on high for 1 hour, or until the meat is tender and falling off the bone.